For my individual project, I make custom coasters. I made two different sets kinds one with a square shape with writing, and one with a intricate, and complicated design. My favorite was the intricate one. It all started when my mom said she needed coasters. Then I decide to make some for her for Christmas. It was a long and some times tedious process, but it was totally worth the wait. First, I had to put circle all next to each other in the shape of a bigger circle. Then, I had to put tiny white rectangles wherever and circles touched each other. 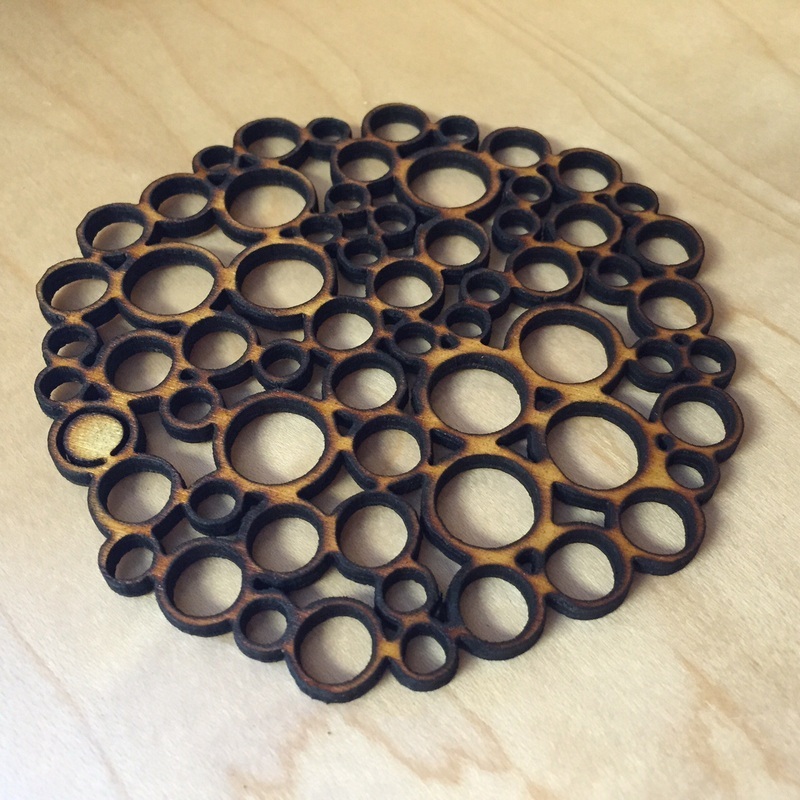 This made so the laser cutter would not cut individual circles, it would cut into one big circle, with tiny circles inside. They came out great and my family uses them a lot. A special thanks to Mr. U for helping me through all the technical difficulties. Our goal fro this project was to make something out of a hummingbird kit. We could build anything you wanted. There was a verity of projects there was a tanker, a boy robot, an a night light. My partner and I made a robot dog. He has many cool features, such as LED light-up eyes, a wagging tail , and wheels that move him. The most challenging part of this project would be the coding. Plugging in the wires was the hardest. We had to modify it multiple times before it was perfect. I am very happy on how our project came out! My favorite part would be creating the body. It was fun to look for resources and cutting the cardboard. I learned to budget your time very wisely. We were planning to paint our do but we did not have time. The cardboard does give it some color. But I love how our dog turned out! Thank you Mr. U! For my independent project, I did my initial in lights! This project was easy overall, but there were many difficult and tedious steps that contributed to this. First, I had to create my outline on the illustrator app. On my original model I had about 20 light bulb holes. Then I realized that there were only 10 lights that came in the package. So, I had to remove about half of the bulb holes I had before. Then Mr. U cut my first prototype of my initial out of cardboard. I thought it looked perfect. The bulbs I had were solar charged. So I brought my lights home and charged them for eight hours in full sun. This eight hour charge will last me about one year. The next class we had, Mr. U had my wooden model cut from the laser cutter. That class I painted it silver. After it dried, I had to hot glue in the lights because they were not very secure before. I also hadv realized there were wires poking out from behind the G. This was very tedious. I finally thought I was done. But then I realized that the lights only turn on when the light are off. This was probably going to make it hard to sleep. So Grace and I designed a box to be laser cut. This made it so the lights could turn on during the day and I could have access to the switch that turned the lights on and off. When the box was ready I finally glued the box together and my project was finished! Thank you so much Mr. U for helping me throughout out my project! I am very excited to begin my independent project. Little Bits really inspired me for my independent project. It got me thinking of all these possible ideas for projects. 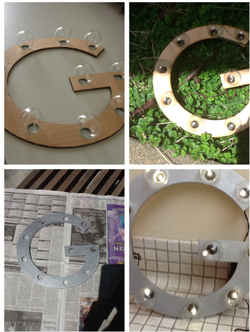 For my independent project, I was thinking of making a small sign of my name or initials that that lights up or flashes. I am currently working on my house for luminosity with Grace Cortese. We combined our single lots and made one lot with a big house. . We have almost finished our prototype out of cardboard, and I am really looking forward to making our finished product out of wood.